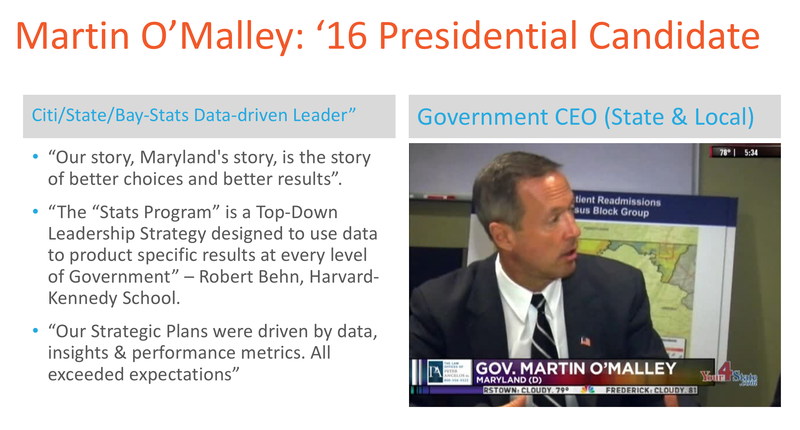 Data Leadership by Proxy. Still doomed to Fail. As I begin my third year as Information Age’s “Resident Thought Leader” (www.information-age.com) I thought that I would recap my 2013 series for them entitled “The Chief Data Officer – Necessary or Not?”. The role called “Chief Data Officer” was created during the past five years primarily to address the growing requirements and sensitivities of Regulatory Compliance in Financial Services & Insurance post the crash of 2008. In each of these sectors, the need for more rigorous Governance & Provenance schemes forced many CIO’s and Chief Risk Officers to define the need for a “Data Czar”; as someone who had ultimately Accountability for insuring that all Regulatory Data was up to standards, available in a timely fashion and representative of a “Single Version of the Truth” in terms of filing veracity. This reactive approach has created a role that typically lives in IT and has neither the leverage, nor the influence to be effective over the long term. It is my contention that if information-driven enterprises were serious about “treating their Information as an Asset” that they would have taken a business-driven approach and created this role at the C-Suite or Board of Directors level. At the recent MIT Chief Data Officers conference in Cambridge (MA) there were many presentations and forums featuring current CDO’s. The majority of these folks came from Financial Services and Government with a smattering from other sectors. With little exception, they came to the role with the proviso that they “get the organizations’ Data in order” to meet critical reporting or analytical needs. This narrowly defined focus troubled me as it appeared that organizations were abandoning both their Data Management and Information Governance Teams in favor of a ‘Czar” who reported directly to the CIO or Risk/Compliance executive and could somehow drive different outcomes than the ones they were struggling to achieve already. One would have to ask “Is this a knee jerk response to a crisis of confidence in their data and its veracity or a real executive role with the influence to drive a “Culture of Data & Analysis?”. I seriously doubt the latter. As a practitioner of Organizational Design I am always asked “Why?” in respect to the creation of any new executive role beyond the status quo. Organizations remain very hierarchical in structure and adding an additional component (or layer) to the well-established hierarchy is strongly resisted. Typically, this resistance is in the form of questions such as; “Why are you diluting my portfolio of responsibilities”, or “Why add another layer of bureaucracy with no real power?”. In respect to the CDO role I am at a loss as to how to answer either. Additionally, it appears that the only community who is strongly advocating for this new role is the Technical one, not Business leaders. All of the noise and posturing regarding the role is coming from technical thought leaders and consulting practitioners and not from the C-Suite or the Board. This is very problematic in terms of gaining momentum or consensus as to the value and scope of this role. In the short time since my last posting there have been a spate of Chief Data Officer advocacy articles appearing across the landscape. All of these seem to want to glorify the role of a “data czar” while ignoring the current roles of Data Governance and Data Management leaders, much less acknowledging the uphill struggle to get Business Leaders to assume their accountabilities & responsibilities for the data that they use every day to support reporting, analysis & decision making. As if a single person acting as “a data czar” could somehow overcome these challenges (or provide a proxy for the lack of business leadership)? In this installment, I would like to address these issues head-on in hopes that it may curtail some of the knee-jerk support of the CDO as a savior for all things information-related. The essence of the challenge is this; “How do we get business leaders to accept the fact that “Information is an Asset”, and as with other assets in their enterprises, it must be managed accordingly over its useful lifecycle. Asset management is a well-understood discipline in the vast majority of enterprises today so this should not intrinsically be an obstacle. However, when you evaluate the behavior of these same organizations in respect to how they treat their information resources there is clearly a fundamental lack of appreciation and respect at virtually every level. If information was being managed as an asset we would not see such poor quality data, the use of multiple versions or the truth for decision making or major privacy breaches on such a frequent basis. 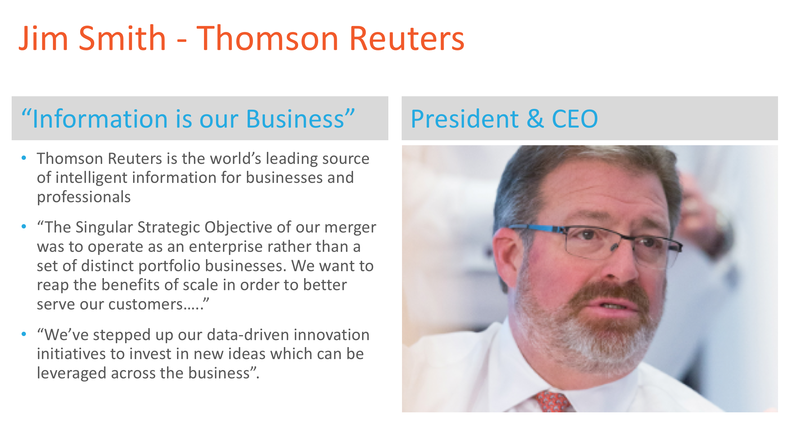 It is clear to me that Business Leaders are not taking the notion of “Information as an Asset” seriously at all. To let this responsibility be relegated to IT is a disservice to the entire organization. IT has neither the resources, nor political clout to do any more than “facilitate” information management policies handed down from above. Information Management (IM) consists of two basic categories in most enterprises today; Managing “stuff” (data) and Mitigating risks (regulatory compliance). Legions of IT workers focus on the “stuff”, while a more elite group manages the risks. The latter is typically what we call “Data Governance” (the former being Data Management) and is a relatively recent component with a spotty track record to date. In most enterprises Data Governance is still in an early stage of maturity and struggles to maintain relevance. However, we now see a trend where the Chief Data Officer is being positioned as a manager of these functions as well as the “Liaison with the Business”. This liaison role is meant to foster influence and collaboration with all information-driven areas of the business, while enhancing the delivery of information products and services to them. I have seen this model used in so-called Competency Centers with some success. The creation of a new role called Chief Data Officer does little, if anything to change organizational behavior in respect to accepting the belief that “Information is an Asset”. Furthermore it obscures the fact that Business Leaders are not assuming their natural accountabilities and responsibilities for managing one of their most critical and leveragable assets; their information. Given the current state of the industry it appears that they would rather have IT identify a “new neck to choke” when things go awry with information resources, if there is a bad regulatory report created or even worse when a privacy breach occurs. This cannot remain the status quo. We cannot continue to create new information-related roles to abstract direct accountabilities for information stewardship from its natural owners; the business. In my next installment I will focus on “How to create a business-lead culture of Information & Analysis within any enterprise. In our Information-driven world one would expect that Executives on both the Business & Operational side of the house to naturally assume ownership (and stewardship) of this critical asset base. It seems only logical when you look at how the Treasury, Distribution, Real Estate, Fixed Assets and other related functions (which manage the lifecycle of Tangible & Intangible Assets) are located in the Organizational Hierarchy. However, when it comes to Information (and its underlying Data), this logic appears to be out of alignment in most enterprises across the globe (A few notable exceptions might be information-centric enterprises such as Google, Amazon, Twitter, etc.). How did we get to this logical disconnect one might ask? In my experience it has been the steady decline in the strategic role of IT, along with the acquiescence of their natural leadership responsibilities by Business Executives whom are still immature in their approaches to exploiting information resources & capabilities. These two trends have created a toxic mix of lack of focus/sensitivity combined with living in a world where “data & information are just stuff” and as such are managed to service & cost levels (by IT). To break this cycle of behavior you must adapt your culture to treat Information as an Asset. This is accomplished by applying Cultural Adoption Methods from the discipline of Organizational Change Management (OCM). It is in essentially a “Top-Down, Bottoms-Up and Middle-Out” approach where all “influencers and owners” are engaged simultaneously. A new belief is established in everyone that this intangible asset that we call Information must be treated as a precious and extremely valuable one. A recognition must exist that the Organization succeeds or fails in large part on the Quality, Richness & Full Exploitation of its information in regards to all aspects of the business model i.e. Customer, Suppliers/Partners, Research & Development, Competitive Differentiation, Services & Products, Brand Success, Legal Mitigation, etc. Only when the entire Organization realizes and embraces the notion that “Information is our most valuable Asset” and that “Each of us has Personal Stewardship Responsibilities” can you realize the full measure of value that is manifest in your information resources. I have successfully applied these Cultural Adoption techniques in a number of Organizations going back many years now. While simple in concept it can be very challenging to define an approach for each type of Organization that will be successful. Some early activities to help me size up this challenge include; C-Suite evaluations to define “Champions and Enablers”, The measurement of the psyche of the Organization in respect to “Ability to Adapt” and “Levers for Success” and locating hidden pockets of “Information Exploitation” to identify Change Leaders & Success Mechanisms. These evaluations allow me to size up the scope of the challenge, to define the strategy for success and to layout the integrated plan for success. The only Organizational Design component of this entire activity is the establishment/optimization of the appropriate levels of Governance required for guiding the management & full exploitation of all Information Assets over their useful lifecycle. This governance body is essential to separating Oversight (doing the right things) from Operations (doing things right) a key overall requirement. Nowhere is there a requirement for a “data czar” or “uber executive” accountable & responsible for all Data. This single point of failure approach has no place in any Organization that truly believes (and behaves accordingly) the notion that “Information is an Asset”. The concept of the Chief Data Officer has been fostered by many within the Technology side of the house and completely ignores the central issue that the Business must assume its natural leadership accountability in managing and optimizing all Information Assets over their natural lifecycle. These responsibilities for Stewardship are lead by the business in partnership with Technology and must be embraced by everyone at a personal level in order to succeed. Only then can any Enterprise claim that they “Treat Information as an Asset”. For those who have followed my writings on the subject of the Chief Data Officer beginning last summer (2013), you know well that I am no advocate of this role. Having endured one wave of hype after another on this subject and being that I just attended the CDO Summit here in London, I felt that it was time for an update. What I initially believed was a bit of overzealousness in response to new regulatory statutes (BCBS 239 Pillar II) have now become downright cynical. Every Vendor, IT analyst and CDO Wannabe is out beating the Chief Data Officer drum each day in the belief that if you say something loudly and frequently enough then it becomes the truth. To be clear, there is absolutely no justification whatsoever for a Chief Data Officer, much less the 20+ other “Chief Whatever Officers” currently being advocated. 1.- Most CDO’s have been created out of the wreckage of failed Data Governance programs. 2.- The vast majority of CDOs remain in financial services and are a direct result of a knee jerk response to complying with the BCBS239 “data management” requirement. 3.- Virtually all CDO’s are non-executive, reporting 1-3 Tiers below the C-Suite, usually to the CIO. Few sit on the business side at an appropriate point of leverage and oversight. I could go on here, but suffice it to say what is being touted by all as critical to the success of Big Data & Analytics is doomed to fail for a variety of reasons. First and foremost, the CDO’s remit as described in most cases is in total conflict with established guidelines for effective Governance (OECD “Principles of Corporate Governance”, The Turnbull Report “Internal Control: Guidance for Directors on the Combined Code”, The BIS “Enhancing Corporate Governance in Banking Organizations” and ISACA’s “Control Objectives for Information and related Technology (COBIT)). You simply cannot have one leader responsible for both Governance and Operations. It is a total conflict of interest, which cannot be resolved no matter who sits in the CDO seat. Second and equally critical, is the requirement for Business Leaders to take accountability for all of their Information & Analytics endeavors and to stop looking for someone else to do it on their behalf. For any organization to become an “Analytics-driven Enterprise” it must be have capable and competent leaders in all levels of the business. 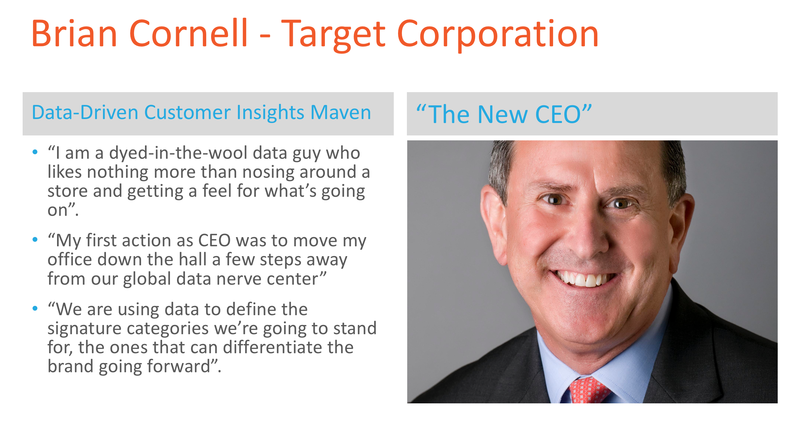 These leaders must set the tone and direction for Big Data & Analytics and drive the cultural belief that “Information is one of our most critical assets and we are accountable for its stewardship and exploitation”. IT cannot do this no matter what they call the messenger and if we don’t change this dynamic we will fail as an industry to achieve the potential that Analytics, Big Data and our Legacy data have to offer. In summary, while many of my peers will criticize with my continued resistance to join the chorus of voices advocating for the role of CDO I cannot endorse a failed strategy when the right one continues to stare us in the face. Success with Big Data & Analytics can only come from top down leadership by the Business side of the organization. Organizing for Success. For those experienced in Organizational Dynamics and Corporate Governance the notion of a ‘Chief Whatever Officer” is a hard one to support. While being noble in its cause, these “czar-like” roles are counterproductive to the outcomes desired and fly in the face of governance practices and ultimately create chaos and rancor. If they are absolutely necessitated to help bring focus and critical mass to an emerging focus area then they should be designed to “self-expire” in 18-24 months at the outside. Short-term needs cannot outweigh the long-term stability of the organization and its culture. Why do Data Governance Programs continue to fail so spectacularly? Recent surveys show that many DG Programs have either failed to meet their stated goals and objectives or have receded into the status quo of the past. The principal reasons are directly attributable to; 1.- Being located in and lead by the IT organization. 2.- Being unique and outside of existing Corporate Governance & Risk Management endeavors and 3.- Lack of or waning sponsorship by Business Leadership. The solution to this challenge is not to re-group and create a “data czar”, but to drive the belief that “Information is an Asset” from the business side where all Assets have traditionally been managed and nurtured. Finally, a January 2015 column focused on “Making 2015 a Year of Data Leadership”. In my future writings & presentations I will continue to advocate for what I see as the best approach to achieving the goal of becoming a Predictive Enterprise, one where Data Leadership manifests from the Top-down. I am confident that others will join in this call as the False Gods of Data and Fashion Statements fall by the wayside and a more realistic approach is embraced by all. I encourage everyone to subscribe & read my monthly column in Information Age as well as to continue to follow this this blog for future updates. Each day we seem to be bombarded with more and more hype about the need for Proxy Leaders aka Chief Whatever Officers and other Fashion Statements such as Data Scientists. There are specialist recruiters, IT Analysts and Conference organizers who promote these roles along with a chorus of IT people who seem to not have much respect for their boss, the CIO. Frankly, I am sick of hearing/reading all of it and in spite of my best efforts to tune out these voices out they seem to be everywhere. It appears to me that the entire vendor, analyst & pundit community have sold the farm on the success of these IT Superheroes in spite of a legacy of more than 50 years of failure by IT to lead in respect to Data, Information & Analytics. I am not one of these “true believers in the next data prophet”. For my money when it comes to creating effective Data Leadership I am going to bet on the traditional organizational hierarchy which begins with the CEO (in partnership with his/her Board). To that end that is why I have devised The Data Leadership Nexus in the fashion that I didFor those who have been following my Data Leadership Nexus articles, blogs and tweets you know that I have been promoting the notion that “2015 – The Year of (Top-Down) Data Leadership”. In support of this, I have been working with Clients and other Like-Minded Thinkers to develop 5-year plans for CEO’s & Boards to transform their Organizations into Predictive Enterprises within this timeframe (if not sooner). To help better understand what that journey looks like from the perspective of those who have already undertaken it (albeit on a slightly different path at times) I am authoring a new series which profiles these Data Leaders. It is loosely modeled after JFK’s book entitled “Profiles in Courage” something that I was inspired by in my youth.